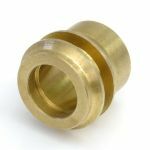 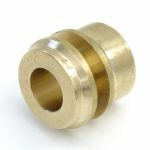 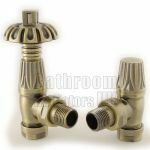 If you’re purchasing a new radiator chances are you’ll also need a pair of radiator valves. 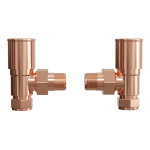 These are the interface between your central heating circuit and your towel rail or radiator. 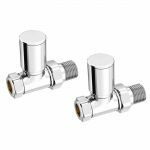 You’ll generally need to choose between straight or angled valves depending on whether your pipe work goes into the wall or floor and whether the radiator has side or bottom outlets. 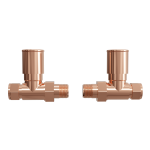 Corner valves are also available which helps when you’re installing close to an adjacent wall. 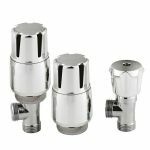 For precise control over the temperature of your room choose thermostatic radiator valves over manual offerings. 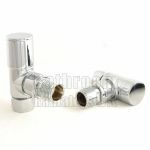 These generally have a numbered indicator, simply choose the heat level and your radiator will self-regulate to keep the room at a consistent temperature. 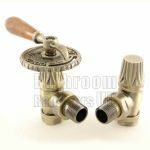 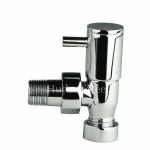 These are available in all designs on modern as well as on traditional radiator valves. 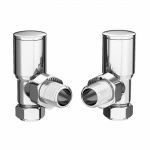 Our new Faringdon range is a good example of great modern day technology being built into authentic designs.